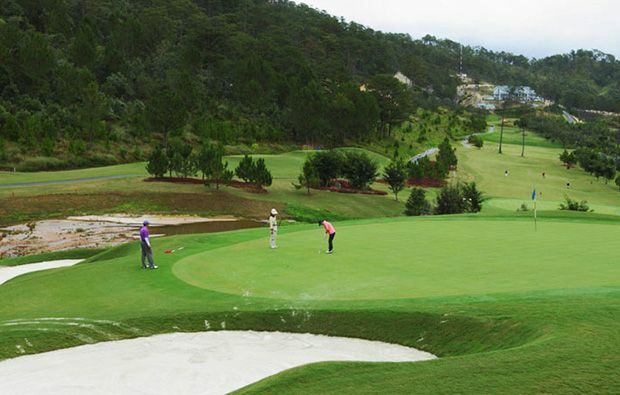 The pick of the holes on the front nine include the third which is a dogleg par 4 with out-of-bounds along the left and a strategically-placed bunker at the apex of the dogleg if you over hit your drive. The approach is one of the most difficult on the course with bunkers and a stream in front of the green so be sure to take plenty of club! You will be glad to escape with a par on the seventh which has a hazard running along the entire left side and a stream running in front of the green about 60 yards out. The split fairway on the eighth gives you two choices off the tee – the left is the safer of the two but if you take the right side then you have an easier approach to the green. 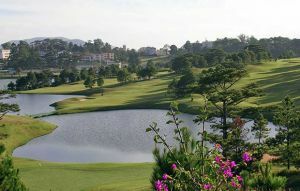 Wonderful views from the elevated ninth tee box and you need to take care to avoid the water hazard to the right of the fairway and then it’s a tricky shot into the green protected by two deep bunkers and a stream cutting across the fairway in front of the green. The back nine opens with a dogleg left and the longer hitters will be tempted to cut off the dogleg but with out-of-bounds along the left and several fairway bunkers it may be wiser to play safe. IT doesn’t look too difficult but you need to take care on the eleventh which is a short par 3 with a large bunker protecting the right side of the green and a hazard behind waiting to collect any over hit shot. Things start to get difficult on the 12th which is an uphill par 4 dogleg with numerous fairway bunkers and a very well-protected two-tier green. A bit of respite on the 14th which is a downhill par 4 and providing you can find the fairway off the tee then it’s not too difficult. The 16th is a short par 3 but you have to carry over water and a large bunker to reach the putting surface. The 17th is a three shot par 5 with a stream crossing in front of the green and a water hazard in front of the elevated green. 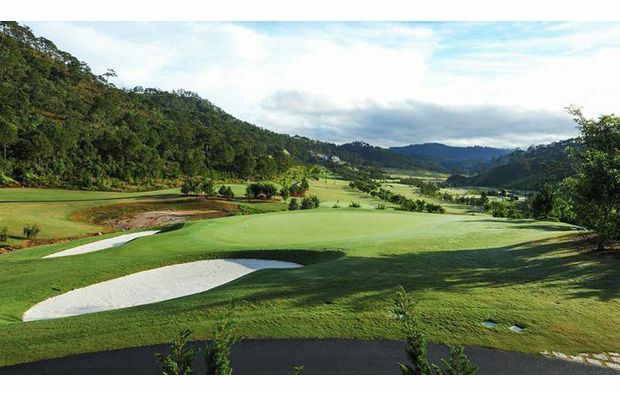 An excellent clubhouse with driving range and practice areas. Various types of accommodation ar available on-site. 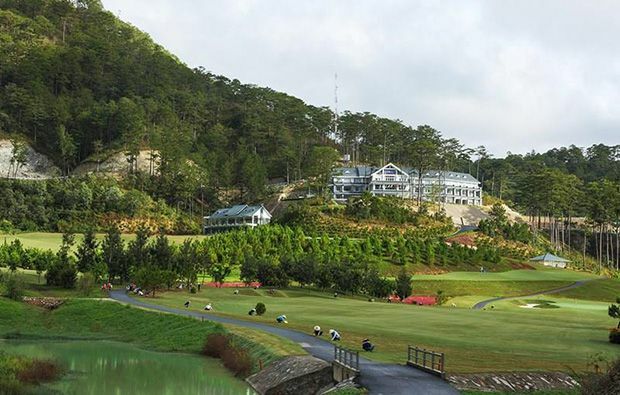 It’s pretty easy to secure tee times at Sacom Tuyen Lam Golf Resort – especially if you use our simple booking engine to secure your chosen start time. 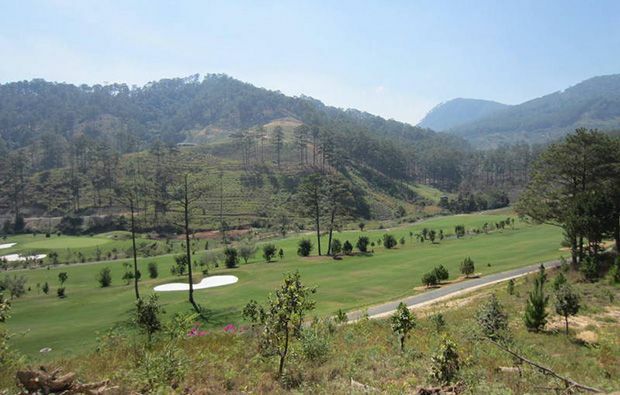 Sacom Tuyen Lam Golf Club has different Services to offer. Choose a date and number or players to see the rates.